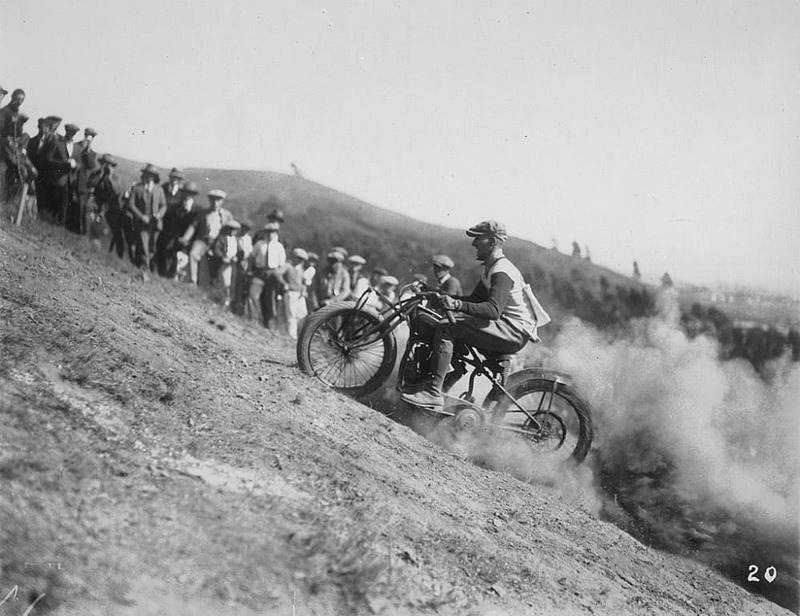 I am a little bit tight on time today for a Blog, but what I thought that I would do is add some cool pics of Vintage Motorcycles having a go at Hill Climbing, this has been popular since the 1920’s and they still run the Widow Maker today. 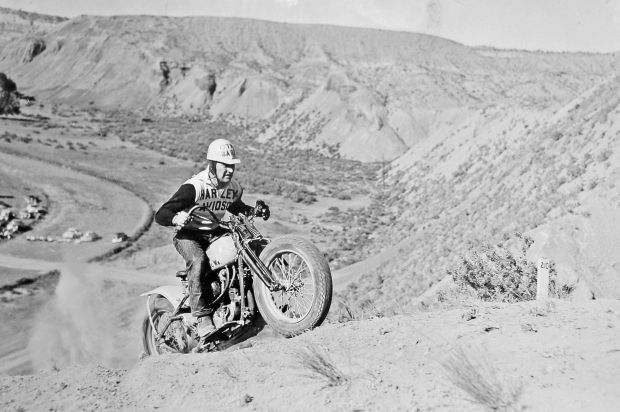 There is something about Motorcycles and Hills I have always been intrigued by, as a Kid I would have crappy cheap bikes but I would try and go up any hill many wouldn’t and sometimes, just sometimes i would succeed and that would make me personally feel like the King of the mountain. 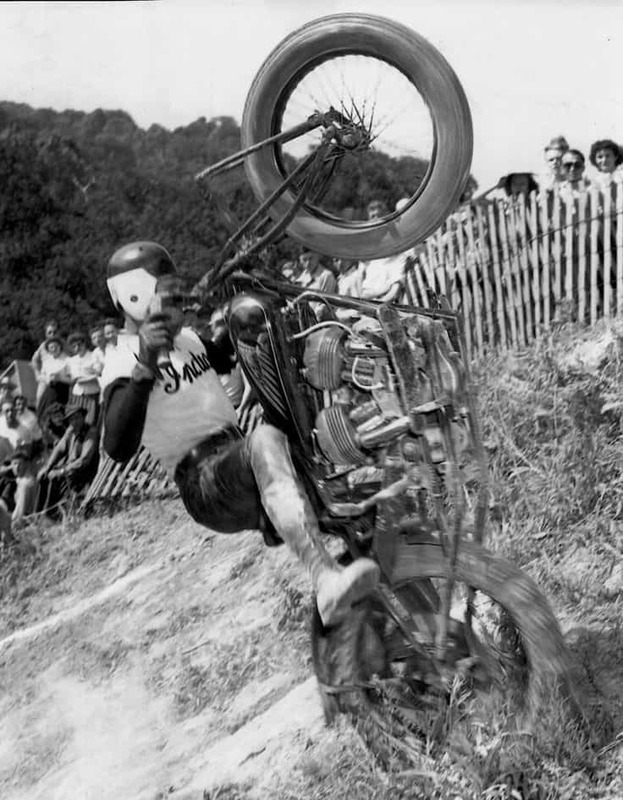 I love seeing old Photos of Vintage bikes having a go at the Big Widow Maker, Man and Machine against Gravity, and its such a super spectator sport too and we need more of it. 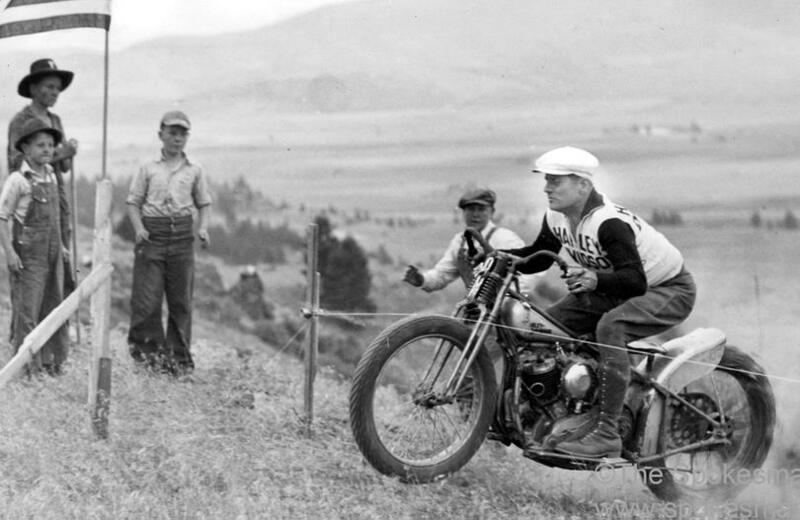 Things have changed as in the newer machines but they still have a go and many do not make it, so, to see Motorcycles from the 20’s 30’s and 40’s having a go is great. 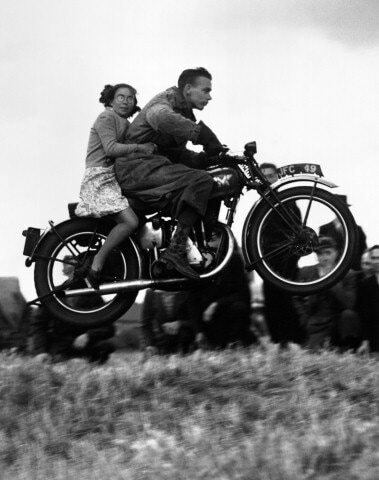 I mean today, it must be like riding a Cadillac in comfort compared to back in the day, took more guts than today too and many, this was their only means of transport too. 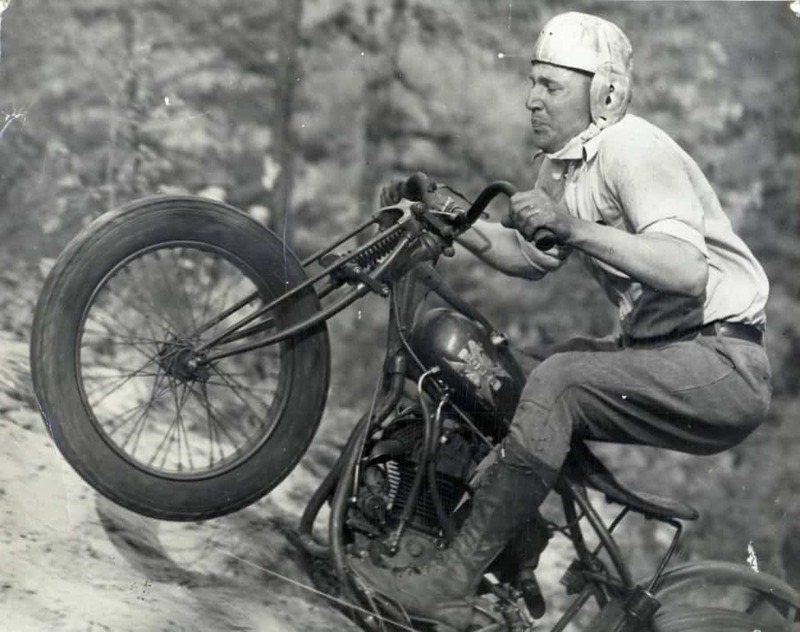 We lived in a flat part of the UK , so finding hills was bloody hard, sometimes you made your own but if I had a hat on right now, I would take it off and tip it in the direction of those crazy Bikers back in the day, full bore and grit ya teeth. 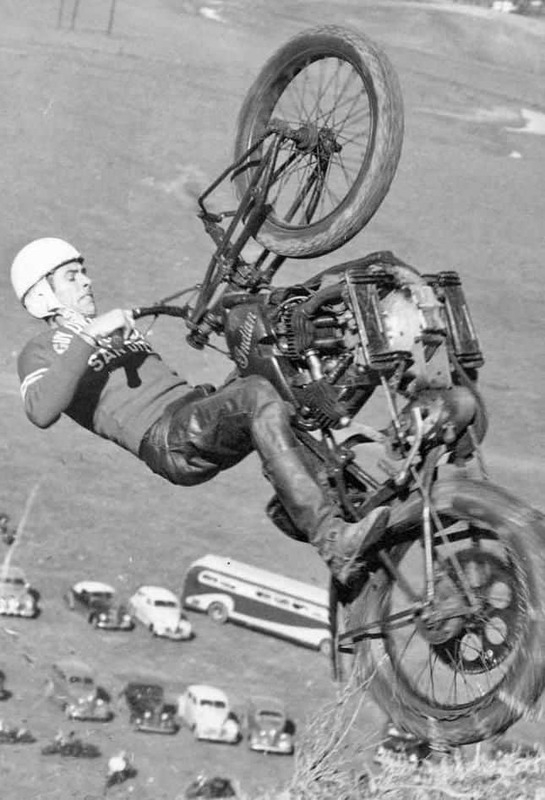 I mean No Guts No Glory was the order of the day back then, can you imagine how their bodies felt the next day from trying to Conquer this bloody great steep incline. 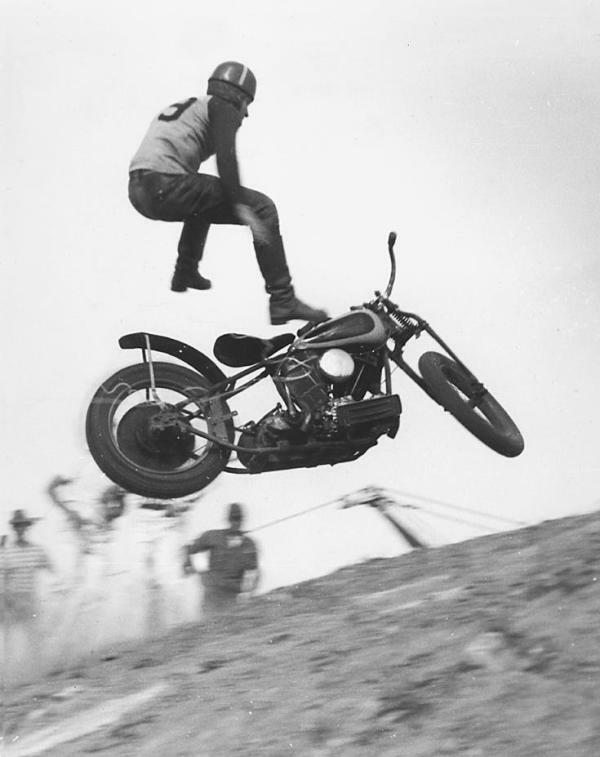 Amazing stuff, no protection, just a Flat cap and a lot of Bravado, seriously cool people back in the day and No Ego’s. at all. 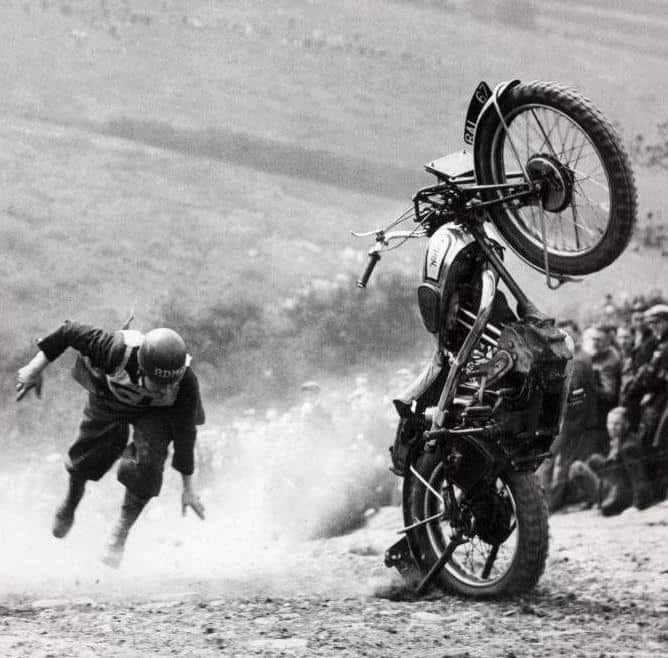 I still love watching it, no idea why they do not televise it much as I am certain people would watch as even today it is just man and machine against the big Hill. 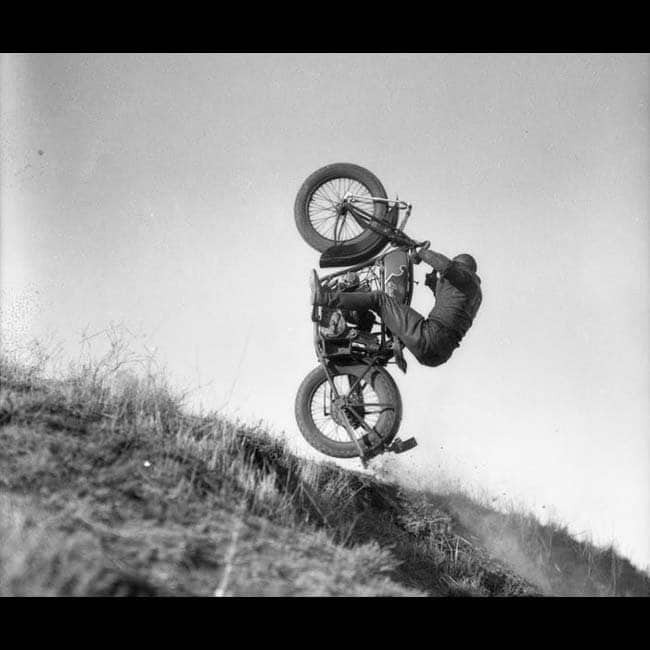 Most of the time there is No prize money, just a few bragging rights if you were one of the lucky ones to get over the top, few did I am sure but All were 100% Committed for sure. 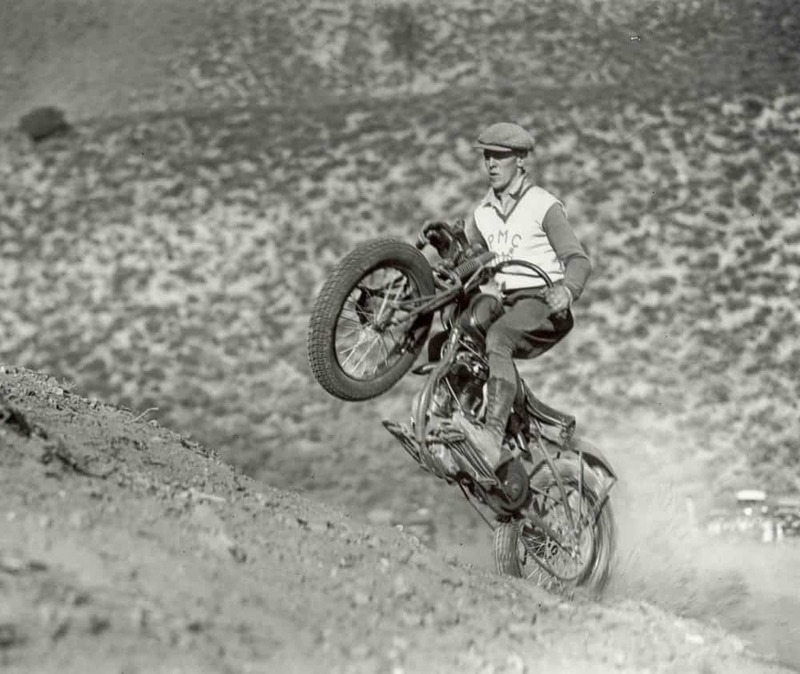 Hopefully there is an event on in your neck of the woods, make sure you support it as these days it is a very hard event to find and we really should have more of this, but land is hard to find compared to back in the day. 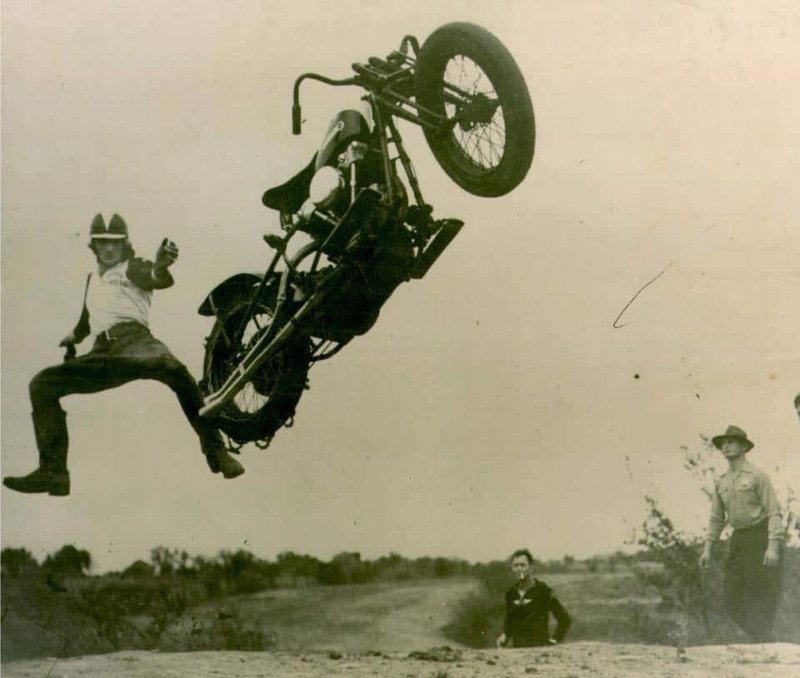 This guy doing his best Elvis impersonation is a Classic. 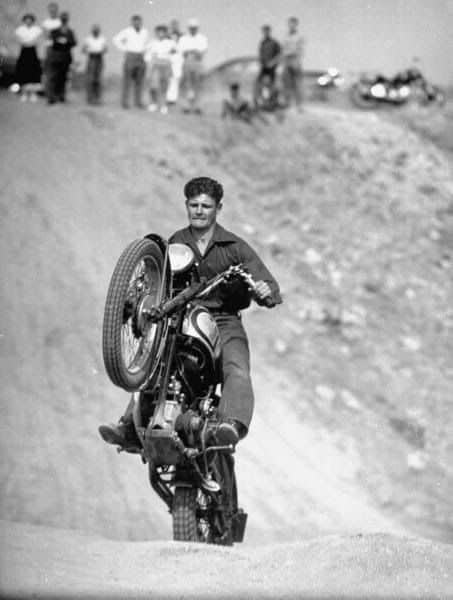 This is one of the best shots ever, the guy is way up on the front of his running boards, love the Paratrooper Boots, Big Cuff jeans and Leather Jacket, so Black Rebel Motorcycle. 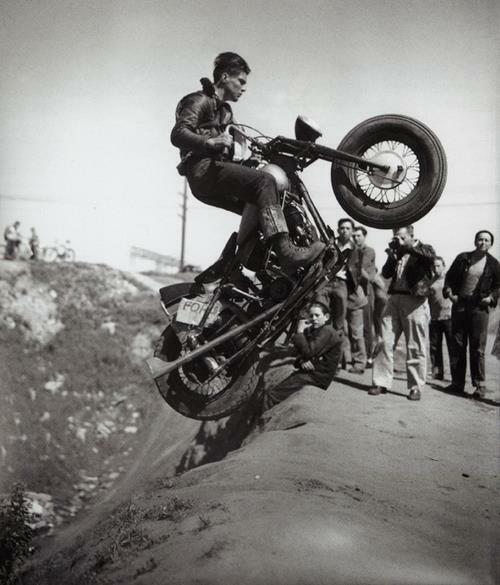 Man, look at how high this is, and the geezer makes it too, thats a great achievement I bet, well done mate, love the Harley Club Sweater too. 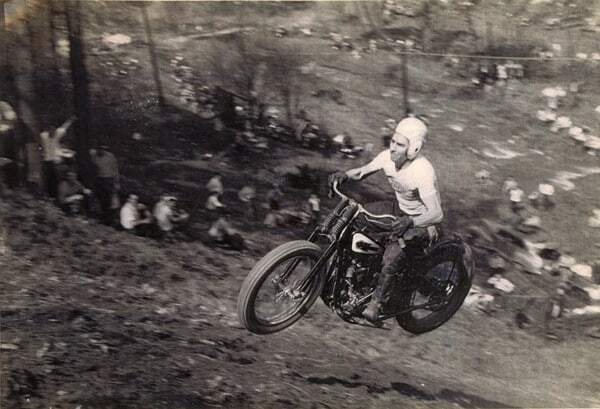 Football helmet on as he digs in at the rear look at the spectators resting on the fence, all leaning uphill. LOL! 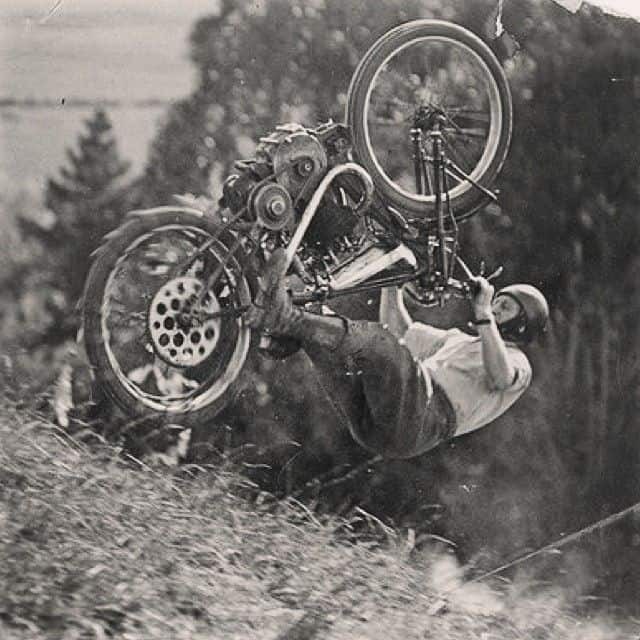 Now you all know this will not end well but 10 out of 10 for having a go, huge rear sprocket too. 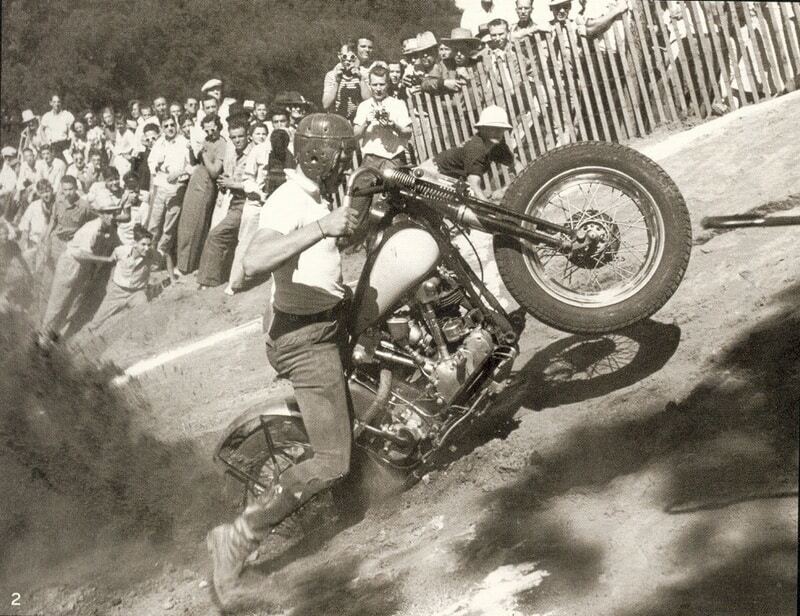 Dedication, Determination and Did he make it, all that with a Football helmet on and no front brake too. 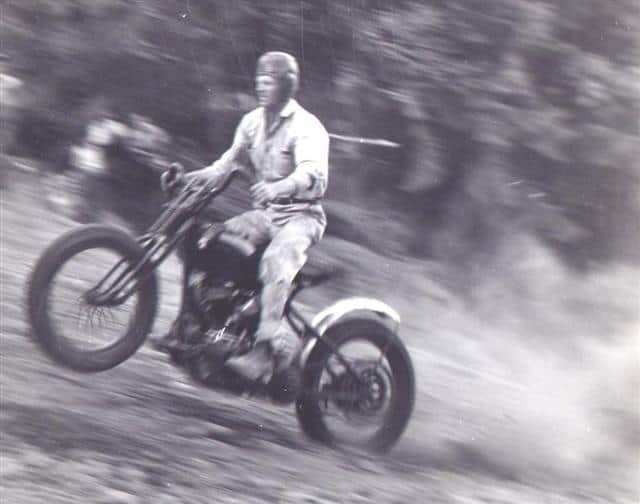 This entry was posted in Blog and tagged Back in the day, black & white, excelsior, flathead, harley davidson, hill climb, Indian, Iron head, Knuckle head, norton, Old dirt bikes, Vintage pics, widow maker.